Many businesses spent the last five or six years fighting to keep their heads above water, with each day presenting new challenges in a tougher economy. While it is easy to see how the importance of the digital world bypassed some, the time for excuses has passed. Customers research products and services before parting with their hard earned cash, making the online presence of a business vital. SMEs are, by nature, small organisations meaning it may not be possible to create and maintain a digital presence with existing resources. So what are the options? There are a lot of YouTube tutorials on how to set up a website and there is a steady stream of social media marketing courses available, but a new Irish company offers another way to bring any business into the online space. Market My Business is an outsourced marketing department for SMEs which may be struggling to market their products and services effectively. Catherine Jordan, marketing manager with Market My Business explained what exactly it is the company does. “We specialise in working with SMEs to offer a wide range of expertise in all aspects of marketing including branding, graphic design, web design and management, social media management, email marketing, event management and much more. We allocate a dedicated project manager who becomes part of our client’s team and gets ‘under the bonnet’ of the business to ensure the best results in terms of business growth,” said Jordan. The project manager holds a series of workshops and brainstorming sessions in an attempt to get a clear understanding of the client’s business, products and services. “We encourage clients to segment their customers into clear categories and plan targeted campaigns and promotions to educate, upsell and cross sell to existing and potential customers. Brand and message consistency is key here. There should be continuity across the board with the same message across all platforms. Mixed messages create confusion and frustration with potential customers,” said Jordan who has spent the past 12 months developing the Market My Business. The company is the brainchild of Damien O’Brien who founded SME Matters in 2005. 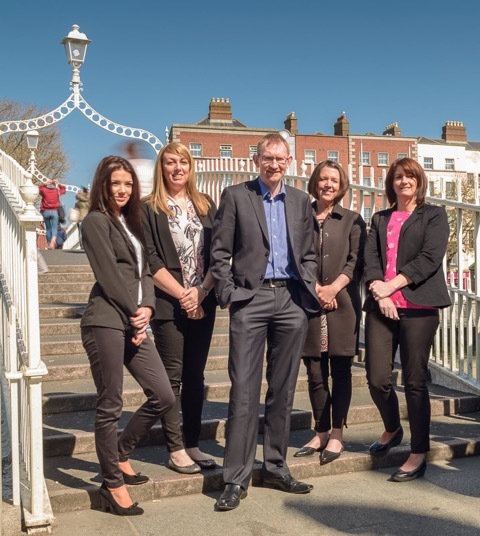 “Market My Business evolved naturally from our SME Matters clients’ need to further develop their existing channels and find the mediums to open new channels,” said O’Brien. So what are Jordan’s Dos and Don’ts of bringing your business online? Preparation is key to being successful online. Knowing who your customers are, what they are likely to be most interested in and the best way to communicate that message to them will help you greatly when it comes to moving your business online. With the right language and customer testimonials your online presence should let your customers know that you are passionate about what you do. It should show that you are expert in your area and you should make sure that your most economically advantageous products/services are prominently featured making it easy for the viewer to find out more about them. Marry this preparation with a clear brand identity, a quality high res logo and you are well on your way to online success. Although most companies have a website, many are not mobile ready. Viewing websites on tablets and smartphones is now the norm (67 per cent of the population access the web through mobile phone or tablet devices) so your site has to be capable of adapting to these formats dynamically. Social Media should be chosen carefully based on your target customer. Social media sites should similarly be set up and branded using high res images and logos and with the same clear message. Prepare your social media activity well in advance and commit to updating it regularly. The most important thing is to analyse your results regularly. See what’s working and invest in that and change what isn’t. What are instant no nos for companies online? The obvious one is to avoid having a website that is not mobile ready. You only have to look around you at every parked car in every parking space, everywhere to see that people are obsessed with smart phones. If you don’t make it quicker and easier, by phone or tablet, for them to find your business, order or book your product they will move on to your competitor who does. After that, content is key. The content needs to be relevant, educational or just simply inspiring. Consider video also, how-to-videos and a corporate video are very popular. Either way any content you offer a customer should be of value to them. Google love it when you keep your content fresh. Also, keep it short. Another no no is not spending time to investigate and use the correct keywords on your online platform that will help your customers find you through search engines like Google (organic SEO). With regard to organic SEO, this will take effort, but your efforts will be rewarded. Getting your Google rankings through organic means such as blogs, good content, and videos is much more effective and cheaper in the long run, than paying for it. Although keywords are important, don’t overdo it – Google won’t like it. You need to write for your customer, not for your search engine. There are no quick fixes for social media. Don’t be fooled into thinking that buying likes for your page will be of any benefit. It will actually work against you. Real customers will get lost in the crowd and your message will not reach them. Good quality social media campaigns are planned, targeted and analysed. This way you will build a strong following of your target demographic. Don’t worry, online marketing takes a bit of time to gain momentum, but in terms of brand recognition and business development it is a very effective way for you to reach your customers.